Cardiff were confirmed as Championship title winners despite being held to a 1-1 draw with Burnley at Turf Moor. 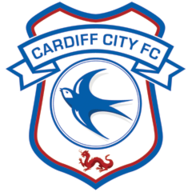 The Bluebirds confirmed their passage to the top flight with a stuttering goalless draw against Charlton in midweek but a swashbuckling opening half, capped by Craig Conway's superb 27th-minute finish, suggested they would claim the first second tier crown in their history in some style. 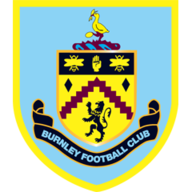 Burnley doggedly forced their way into the ascendancy after the interval and, after Danny Ings forced a magnificent save from David Marshall, Edgar towered to direct Kieran Trippier's cross into the bottom corner five seconds into added time. City started firmly on the front foot and Rudy Gestede grazed the top of the netting when he lashed goalwards from 25 yards. Gestede was making his physicality tell and in the 14th minute Aron Gunnarson drove wide from the edge of the box after Bo-Kyung Kim laid off his knockdown. Clarets right-back Trippier ceded possession in midfield following a timely interception, leaving room for Conway to drive into the area from the left - Lee Grant made a fantastic save after his shot deflected off Kevin Long. Kim left Long in his wake before coming fractionally closer than Gunnarson from a similar distance and the South Korean playmaker soon had penalty claims waved away, going down under pressure from Junior Stanislas after Danny Lafferty sold his team-mate short. Tripper sliced a cross to spurn a rare Burnley opening and from the subsequent counter-attack Conway collected Kim's cute pass to rifle home from outside the area. Conway continued to vindicate his manager's decision, earning Trippier a yellow card as he was scythed down in full flight before curling narrowly over from 20 yards as the interval approached. Kim was the other painful thorn in Burnley's side and Ross Wallace escaped punishment in first-half stoppage time when, for the second time in the match, he flashed a forearm in his direction. Perhaps in an attempt to take the decision out of referee Stuart Attwell's hands, Dyche sent on Matt Paterson for Wallace at the break and replaced Stanislas with Edgar. Belatedly, a sustained spell of Burnley pressure materialised and Paterson might have done better in the 68th minute when he got underneath a close-range header from Sam Vokes' flick-on. Dean Marney's booking for a dive in the box with Gunnarson in close attendance summed up the Clarets' frustrations, but Ings almost snatched a point in the 86th minute - impressively controlling Paterson's lofted pass on his chest before finding Marshall's reactions to be razor sharp. Marshall was almost Cardiff's saviour again in the final minute, but he could only touch Edgar's back-post header from Trippier's centre, after an initial long throw was cleared, into the bottom corner. There would be no further drama, leaving Cardiff's heroes to drench themselves in champagne before a vocal travelling contingent after full-time.